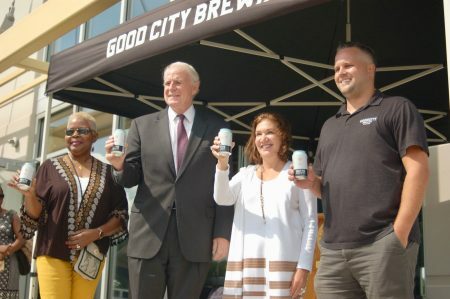 When it was announced that Good City Brewing committed to the Century City Business Park on Milwaukee’s North Side, Yvonne McCaskill was finally able to set aside her doubts that any business would come to the area. McCaskill and her organization, Century City Tri-Angle Neighborhood Association, have been involved in the city-led business park project since the beginning. However, two years of waiting for a business to commit to the location took its toll. Good City will purchase Century City 1, an industrial facility located near N. 31st Street and Capitol Drive, from the City of Milwaukee. Completed in 2016, the building is 53,160 square feet and is part of the city’s project to redevelop the 30th Street Industrial Corridor. The brewing company is the first occupant of the business park, which sits on a 150-acre site that the city purchased in 2009. “From my perspective, this is the most significant step that we have taken to move Century City forward,” Mayor Tom Barrett said. Barbara Smith, president of Amani United, said her organization is happy to see a business finally move into Century City. She said the business park presents a possible solution to a lack of sustainable jobs near Amani. Good City co-founder Dan Katt said the business has expanded four times in the two years since it launched and it has run out of space on the East Side. 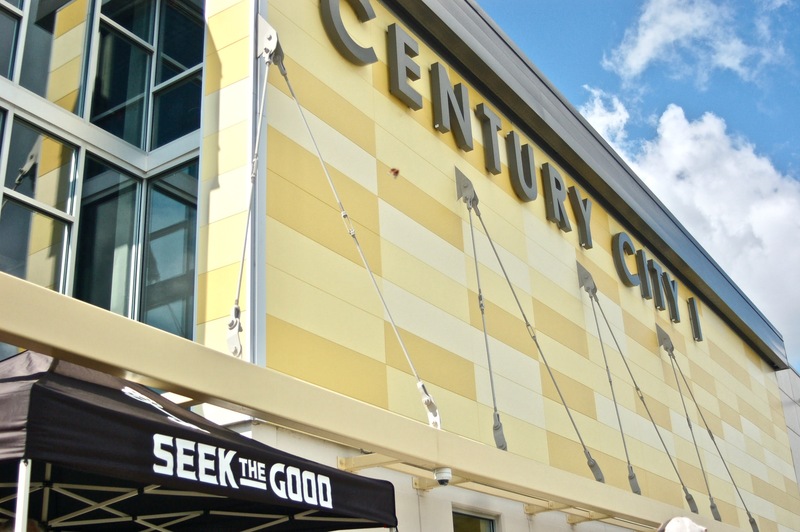 Good City will use Century City 1 for its corporate offices and warehouse operations. Co-Founder David Dupee said brewing is part of the company’s long-term plans for the space. “If we continue on the current growth trajectory that we’re on, I think that a second brewery is likely in the next couple of years,” Dupee said. However, even if the business does create a production space in Century City 1, Dupee said it would use only about one-third of the building. Consequently, Good City will look for other tenants to share the space. Dupee said Good City plans to lease to small businesses that want to hire from neighborhoods near Century City. Smith said she hopes the jobs will benefit those who live nearby. “I pray that the majority of the employees who go into the company are actual residents within the vicinity, not people coming from a long distance to come in and occupy those positions,” she said. McCaskill said she hopes the company will bring jobs, relationships and inspiration to the neighborhoods around Century City. “I think (Good City) will bring the kind of ethics and relationships that Milwaukee was maybe built on, while embracing these neighborhoods around it,” McCaskill said. “It’s owned by people just like the people who live here, who may be inspired to have their own business.”. Barrett echoed Smith and McCaskill’s sentiments, noting that Century City has a nearby workforce that is eager and capable. Dupee said the business is committed to providing jobs to residents of the neighborhoods adjacent to Century City. He estimated that about 10 warehouse and office jobs will be available initially. “Our goal is to, really from day one, hire from the community. That’s why we’re going there – that’s why we’re trying to recruit the businesses that we’re trying to recruit. It’s certainly a significant part of our approach to moving there,” Dupee said. Good City officials are getting to know the community surrounding Century City and meeting as many people as they can, according to Dupee. “For right now, we’re just kind of doing our due diligence and learning the community,” he added. Good City also is building a brewery on the East Side from the ground up and the company has a new partnership with the Milwaukee Bucks. “As exciting as all that is, today matches if not exceeds that excitement for our company in terms of being able to have a more wholistic approach to growing our business here in Milwaukee,” Katt said. Barrett applauded Good City for recognizing the value of Century City. “(Good City Brewing) has made the decision to locate here. And they have done so because there’s a workforce here; because just as Palermo recognized the potential of the Menomonee Valley, Good City Brewing recognizes the potential of Century City,” Barrett said. Once Good City obtains approval from the Common Council, the company will begin moving in immediately. The business will purchase Century City 1 through an affiliate entity. Dupee said it is looking to close the deal by October.